Commercial cleaning services are especially useful during the summer months, when your facility might be busier than usual. It is the nature of many businesses such as car dealerships, retail establishments and restaurants to have a big bump in business during the warmer months when school is out and people are on vacation, and these businesses must be especially vigilant about cleanliness. If you have never used a commercial cleaning service, giving one a try before committing might be a good idea. Previously, you may have tasked your own employees with the job of cleaning up, but they likely did it reluctantly and half-heartedly, if at all. You may have hired an independent cleaning person to do the job. This can work out well, if that person does a good job, and if he or she can get it done in a reasonable amount of time. This is where a trial run and a careful comparison can come in handy. A commercial cleaning crew employs professionals who can get the job done quickly and well. They bring their own equipment and supplies, which helps them work faster, since they are familiar with what they are using, and they get your facility cleaner. When considering a commercial cleaning company, look at how many years they have been in business. It isn’t critical that they go back 20 years, but if it’s a newer company, ask about their experience level. Maybe they have been working for others for years and recently struck out on their own and are doing well. Also check references. You want to make sure the company you hire is honest and hardworking — and insured and bonded. Accidents can happen to anyone, and you want to make sure you don’t end up paying for them. A benefit of retaining a cleaning company — besides you not having to worry about the cleaning yourself — is that they can handle tasks not everyone is suited for. For instance, most people are capable of dusting and vacuuming, but commercial office cleaning companies specialize in hard-to-care-for areas like windows, mirrors and flooring surfaces. Although most people clean windows only periodically, it’s imperative they stay looking good in between cleanings. No one wants to patronize a business with filmy, dirty windows, and fingerprints should be wiped from doors and windows daily. The same goes for any mirrors and glass in the building — it’s an area you can’t get away with ignoring, unlike dust bunnies under the desks. Depending on the type of flooring you have, you can seriously benefit from commercial floor cleaning services. You can vacuum, sweep and mop, but many commercial floors don’t come clean with ordinary products. And cleaning products can build up, necessitating stripping and rewaxing. Commercial cleaning companies have heavy-duty equipment such as buffers that most businesses don’t own themselves. This saves you not only on labor, but on equipment rental as well. If you think you would like to try a commercial floor, window, carpet, or any other type of cleaning service for Salt Lake City and surrounding areas, call BearCom Building Services, a trustworthy, professional cleaning team. Car dealerships keep their cars meticulously clean, but what about the rest of their environment? Customers come looking for a car, but that’s not all they see. Hopefully they do not see doors and windows with fingerprints, or dirty floors or bathrooms. No matter what type of business you run, you will be judged on your cleanliness, so make sure your car dealership is in tip-top shape with BearCom dealership cleaning services. Dealerships generally have a lot of glass in their buildings, and it needs to be kept clean. Weekends are an especially busy time for many dealerships, and customers come in with their little kids who run off and press their noses and sticky hands against the windows as soon as the adults start talking business. Many doors and windows in offices can be kept clean by simply wiping down the bottom four feet of glass each day. Car dealerships also see a lot of foot traffic, especially on weekends. It’s inevitable that dirt and sand will be tracked inside onto carpets and floors. On a rainy day, add in leaves and other debris, and you have a first-class mess on your hands. Frequent vacuuming, sweeping and mopping is your only defense. With lots of customers comes lots of bathroom use. Keeping bathrooms clean is imperative. Customers will not forget a bathroom with dirty or clogged sinks or toilets, or one that’s out of toilet paper, soap or paper towels. Constant attention to bathroom cleanliness is a necessity. Many dealerships have waiting rooms for buyers who are waiting for their cars to be ready for transfer. Often these rooms have free coffee available. Anyone who has ever worked in an office or been to a 7-11 knows that just one person can leave behind the remains of a torn sugar packet, drips from the stirrer, a ring from the cup, splashes or milk and granules of sugar, so when you consider the number of patrons at a dealership, you can have one huge mess on your hands. At least ashes, ashtrays and cigarette butts are a thing of the past. Although the offices of individual salespeople see less traffic than the main showrooms, they still need to look (and smell) professional. Keeping desks and other furniture free of clutter is the first step. It’s hard to clean surfaces you can’t see! If you have carpet in your offices, it should be vacuumed at least daily, and if you have bare floors they must be swept, perhaps more frequently than once a day. And never neglect the keyboard and computer monitor. Stained keys or monitors that are dusty or splattered with beverages do not project a professional image. If you want to increase sales at your car dealership, call BearCom Building Services and ask about their car dealership cleaning services. 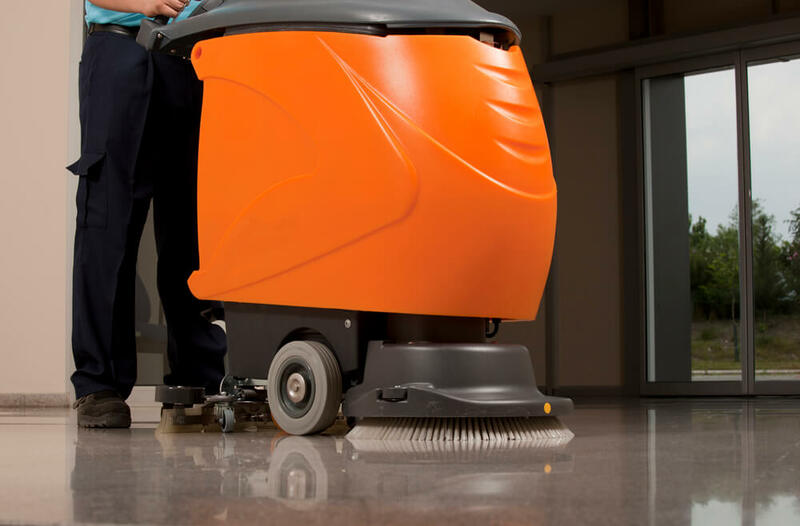 They can provide you with nightly cleaning or on-site cleaning personnel to keep your facility sparkling. A clean auto dealership is a successful one.